Based on reviews from 2,431 users. Learn how our rankings work or see our guide to Asics Gel Lyte sneakers. Updated Apr 2019. Asics began applying the Alpha Gel technology into their sneakers in 1986 to provide a high-quality air cushioning system. This technology holds Asics philosophy which continues to open possibilities that are limitless for future sneakers. The brand has been releasing a variety of Asics Gel Lyte sneakers for women and men for over 30 years, enjoying comfort in every step. Asics Gel Lyte sneakers were released in several silhouettes from the classics to new iterations as well as collaborations with some of the brilliant artists and cultural connoisseurs. With tangible designs, the Asics Gel Lyte sneakers are available in a low- and mid-top silhouettes. Without a doubt, running is the dominant inspiration of Asics casual shoes. It is the biggest foundation of almost every lifestyle sneaker that is made available to the public. Asics pushes for the best in technology that is almost at par with their running shoes to Gel Lyte sneakers that have successfully crossed to everyday wear. These are lifestyle kicks that offer optimum movement are celebrated for their versatility where style and fashion go. 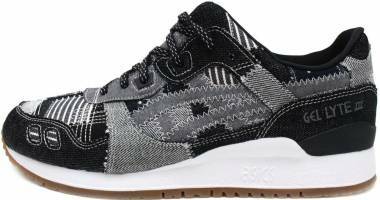 Comfort and adaptability in style are delivered in spades by these low top Gel Lyte sneakers. Rightfully considered by the sneaker world as one of the crown jewels of Asics’ lifestyle shoes, the Gel Lyte V originally appeared in 1993 as a revolutionary running shoe. From its initial foray into performance as a daily trainer that can also do a bit of long-distance running, the sneaker took on a new appeal of its own as a casual option for many sneaker fans. The years have not dulled the Gel Lyte V’s popularity in any way. It is easily on top or very near the top of the collection called the Gel Lyte sneakers. Together with the Gel Lyte V, comprises the crème dela crème of the Gel Lyte sneakers collection. Asics introduced the shoe to the world in 1990 as an innovative alternative to the bulky shoes of old. The Asics Gel Lyte III was lightweight and performance built because of its tri-density midsole. To this day, it still retains its performance-oriented capacity, although it is now adored by many because of its historical significance and aesthetic value. The Asics Gel Lyte EVO NT has the Dual-Density midsole and new 4-piece tooling accented by lightweight materials which enhance breathability as well as support for dynamic movements. It refines legacy runner with a sleek and modern design. Like other Asics Gel Lyte sneakers, this shoe utilizes a technology that provides ultimate shock absorption and impact resistance, ensuring comfort in every step. 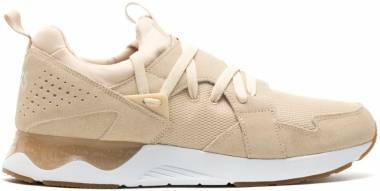 This lace-up sneaker has an upper with a combination of synthetic suede, nylon, and mesh that offers adequate air circulation as well as a fashion-trend appeal. The rubber outsoles with flex grooves provide flexibility and sure-footed grip. It is available in different colorways including White/White, Black/White, Mid Blue/Navy and Tango Red/White. This model takes the Gel Lyte V silhouette with an updated and no-sew design. It is among the Asics Gel Lyte sneakers that are available in different colorways including Black/Black, Carbon/Black, Flash Coral, and White/White. It is a unisex sneaker that can match a variety of outfits. This lace-up footwear has sturdy rubber outsoles with flex grooves for smooth movement and reliable traction. Same with other Asics Gel Lyte sneakers, this shoe provides comfortable cushioning, impact resistance, stability, and shock absorption. Its upper is infused with synthetic and mesh materials, offering sufficient breathability. Unlike other Asics Gel Lyte sneakers, this model utilizes the Gore-Tex technology that can withstand whatever Mother Nature throws at you. This shoe features a Gore-Tex fabric upper that keeps the Gel Lyte V NS waterproof and dry at the same time allows air circulation, keeping the foot fresh and dry. This lace-up sneaker utilizes a No-Sew technology that makes relatively cleaner and sleeker design. The No-Sew overlays are hot melted on the upper. The tongue with a mono-sock style gives comfort while the rubber outsoles offer reliable traction. With a sock-like construction, the Asics Gel Lyte V Sanze Knit has a single knitted mesh upper that provides adequate ventilation. Released in 2017, this version is among the Asics Gel Lyte sneakers that have the perfect blend of comfort and style. This streetwear classic can match a variety of clothing that can wear by both men and women every day. Its Gel cushioning effectively provides impact resistance and shock absorption. Among other Asics Gel Lyte sneakers, this version utilizes breathable materials which make the footwear perfect for summer or other warm weather conditions. It is available in colorways including Mid Grey/Mid Grey and White/White. Featuring pastel colors, the Asics Gel Lyte V Vice City was released in relation with the Miami Vice movie. It has suede and leather uppers that provide adequate foot breathability. Like other Asics Gel Lyte sneakers, this shoe offers the right blend of comfort and style that one can wish for. For a flexible fit, it has a lace-up closure system. It also has a durable outsole that gives reliable traction. With the original silhouette released in 1993, the Asics Gel Lyte V Reflective is built with an advanced no-sew construction which is a must-have for sneaker enthusiasts. It has a sock-like upper that hugs the fit, offering comfort and breathability. For foot to easily slide on and off the shoe, a heel pull tab is installed. An icon’s revolution, this sneaker has low-light reflective detailing on the upper. Like most of the Asics Gel Lyte sneakers, this footwear has a fashion-trend style that can quickly go with a variety of outfits. The no-sew construction of the Gel Lyte III version is among the Asics Gel Lyte sneakers that have advanced new design. This unisex sneaker has a versatile silhouette with a streamlined look that can go well with various outfits. It is available in colorways including Black/Black, Black/Carbon, and Red/Red. With a retro and sporty vibe, it has a combination of synthetic, nubuck and mesh uppers with perforated underlays and textile lining that provides efficient breathability and a great next-to-skin-feel respectively. 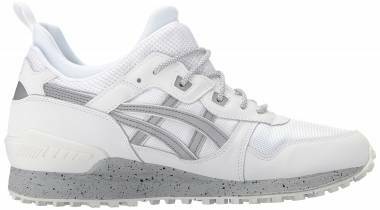 Like other Asics Gel Lyte sneakers, it has a speckled midsole and cushioned footbed that delivers optimum comfort. It also has outsoles with flex grooves that give reliable traction and flexibility. With a military aesthetic, the Asics Gel Lyte III Camo has a combination of premium leather and mesh upper, keeping the foot cool and dry. It has a suede toe and heel counter as well as speckled midsole, adding dynamic texture to its split-tongue signature. Like other Asics Gel Lyte sneakers, it has cushioned footbed, as well as padded tongue collar, that offers limitless comfort. For reliable traction, a durable rubber outsole is installed. This sneaker comes in colorways including Black/Black. With an eye-catching color scheme, the Asics Gel Lyte Speed has a premium leather and nubuck upper with a perforated toe box that offers adequate ventilation. This lace-up sneaker provides a secured lockdown and adjustable fit. Like other Asics Gel Lyte sneakers, it has an EVA midsole that gives excellent cushioning and support. It also has flexible and durable outsoles that ensure a sure-footed grip. Asics adds a few elements in their Gel Lyte sneakers by adding an inch or two to the shoes’ ankle and collar heights. Mid top sneakers deliver extra support and protection while putting an edge and daring to one’s style and expression. Although not as sought-after as the low tops, they do have an identity of their own and quite popular in their own way. Combining the elements from the iconic silhouettes of Gel Lyte III and V as well as the Gel Respector, this mid-top Gel Lyte shoe is designed for the streets and inspired by the mountains. It features a split tongue, mono sockliner and heel clip on a combination of the suede and mesh upper. It also has the neutral midsole and trail-style laces. The shoe has a combination of suede and mesh uppers that provide soft comfort and breathability. It is also well insulated that is perfect for winter. The reflective Tiger Stripes give an added style to its silhouette. 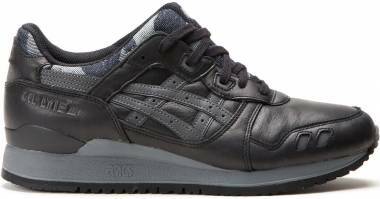 Like other Asics Gel sneakers, this shoe is available in a variety of colorways including Forrest/Moss, Black/Dark Grey, Caramel/Brown Storm, Black/Black, Aloe/Aloe, Marzipan/Marzipan, Rose Taupe/Rose Taupe, Black/White, White/Mid Gray and Cabon/Carbon. The Komachi Strap MT among the Asics Gel Lyte sneakers that are lightweight and has a relatively slimmer silhouette, exuding a feminine look. It has a slip-on design, allowing the foot to easily on and off the shoe. The mesh upper provides sufficient breathability while the textile lining gives a great next-to-skin feel. Like other Asics Gel Lyte sneakers, it provides effective shock absorption and high-impact protection. It has the elastic band with the brand embroidered on it that ensures a secured fit while the rubber outsole provides reliable traction. It is available in colorways including Stone Grey/Stone Grey and Black/Black. For over 60 years, Asics has continually provided comfortable and stylish sneakers to their loyal followers. The brand has been partnering with clothing brands, rappers, and boutiques as they unceasingly develop cool footwear, helping the company to draw more customers and a new audience that wants their Asics Gel Lyte sneakers to look unique and be limited. In collaboration with the Amsterdam-based sneaker shop, the Patta x Asics Gel Lyte III was released in 2007. It is among the Asics Gel Lyte sneakers that are the most iconic. It features a combination of premium nubuck leather and suede upper with a perforated toe box. The 3M reflective logo can be seen on the heel and underlay. This sneaker comes with a Patta rubber keychain as well. To add on its impressive look, the Patta logo can be seen on the tongue tags and lace dubrae. It is among the Asics Gel Lyte sneakers that were released in an impeccable colorway. Extra laces are also provided. In celebration of its 25th anniversary, Asics partnered with Limited Edt, a premier sneaker shop in Singapore, to come up with another revolutionary kick to offer loyal followers in the spring of 2017. Like most of the collaborations for Asics Gel Lyte sneakers, this pack features the silhouette of Gel Lyte III and V. With elegant floral looks, this edition has an on-point style which is inspired by an orchid named the Vanda Miss Joaquim. The hybrid orchid represents cultural diversity and individuality. In the black colorway, the Asics Gel Lyte III’s silhouette has the “Kuro” floral pattern lasered into the upper, accented by the metallic gold and dark yellow hues. Accented with lavender, turquoise, and yellow hues, the Asics Gel Lyte V’s silhouette has a more colorful upper with the “Murasaki” purple jacquard floral print embossed on it. The box comes with leather conditioner, shoe brush and an extra pair of waxed shoelaces. Although with a floral design, this lace-up sneaker still provides a robust masculine edge. The La MJC x Asics Gel Lyte III was initially released for only 100 pairs in 2008. This version is one of the Asics Gel Lyte sneakers with premium materials that give the nod to the late ‘90s running shoes. It is approximately priced at $290. Re-launched in September 8, 2018, this shoe’s upper is accented with different colors such as mint, bold burgundy and pink detailing. The split-tongued silhouette has an upper made of a combination of mesh and nylon materials. It also comes with an extra two insoles and three sets of shoelaces. Like most of the Asics Gel Lyte sneakers that Ronnie Fieg had collaborated with the brand, this shoe offers comfort and an on-point style. Covered in dolphin-inspired orange and aqua palettes, the upper of the Ronnie Fieg x Asics Gel Lyte III “Miami Beach” utilizes a combination of mesh and nubuck leather materials with micro perforations, offering sufficient breathability. This shoe was released in 2013. Hanon x ASICS Gel Lyte III "Wildcats"
Inspired by a local running club, the Hanon x Asics Gel Lyte III “Wildcats” is among the Asics Gel Lyte sneakers most coveted collaborations. Released in 2011, this shoe comes with three sets of shoelaces and a dust bag. The sneaker has a great combination of yellow and red colors. It has a luxurious suede upper with the double woven labels on the tongue and tonal 3M Tiger Stripes emblem. The toe box area is perforated, giving sufficient air circulation. With the symbol for something flammable, the Hanon logo is on the heel for an added nice touch. Colette x La MJC x ASICS Gel Lyte III "Sold Out"
Among the collaborated releases for Asics Gel Lyte sneakers, the Colette x La MJC x Asics Gel Lyte III “Sold Out” was made available for only 100 pairs in 2008. It featured inspirations that paid tribute the late ‘80s and early ‘90s running performance models. The upper masterfully captured the pre-internet sneaker boom with a combination of purple, white and pink colors, as well as splattered hues on the side panels. For an added presentation, this sneaker came in a white duffel bag. Ronnie Fieg x ASICS Gel Lyte "Cove"
Released in 2010, this iteration utilized the Asics Gel Lyte III’s silhouette. It had a minimalistic design yet displayed an effective color blocking. It was among the designs of the Asics Gel Lyte sneakers that were able to catch everyone’s attention. With a nickname that came from the pristine beaches in the Bahamas, the Cove had a blue upper and gray midsole. In April 2014, the retro of this colorway utilized the Gel Lyte V’s silhouette. It has an upper with a combination of nubuck and suede. The Tiger Stripes are backed by white 3M while the midsole was in light gray. It came with three extra sets of laces. Another iteration of the Asics Gel Lyte sneakers debuted in May 2011. The Japanese-based shoelace company named Zillion teamed up with Asics to release a shoe design inspired by a traditional ceremonial kimono. The sneaker came with an extra pair of Zillion laces as well as wooden hang tags. Zillion made a subtle approach on the sneaker’s design by utilizing the cream-like suede upper that contrasted with hits of Japanese Chirimen mesh fabric. The Zillion logo is found on the heel for an added style. The Zillion x Asics Gel Lyte III exudes elegance with its clean and straightforward colorway. Released in 2015, this sneaker is the fruit of the Asics’ collaboration with the Chicago-based boutique, Saint Alfred. Saint Alfred x Asics Gel Lyte V is among the Asics Gel Lyte sneakers that are equipped with a nubuck leather upper that is resistant to water. This iteration is one of the Asics Gel Lyte sneakers that are inspired by Chinatown’s architecture. It has a waterproof Gore-Tex lining and durable ripstop nylon. Among the Asics Gel Lyte sneakers, the BAIT x Asics Gel Lyte III “Nightmare” has a premium leather upper that adorned with a snakeskin-like suede and metallic silver mesh. The midsole is speckled. 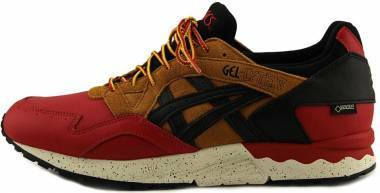 It features translucent gum soles with the texts “Asics” and “BAIT” on them. Another collaborative version of the Asics Gel Lyte sneakers, this edition is released for the 25th anniversary of the Asics Gel Lyte III. It comes with two pairs of waxed flat and rope 3M shoelaces. The BAIT branding is also seen on the upper. Ronnie Fieg x ASICS Gel Lyte III "Salmon Toe 2.0"
With the Navy/Salmon colorway, the Ronni Fieg x Asics Gel Lyte III “Salmon Toe 2.0” was released on November 28, 2016. The shoe was equipped with a special edition box that came with additional 3 sets of extra laces in color gray, orange and white as well as an exclusive pin, Kith x Stance Crew socks and fish-shaped stress ball, commemorating KITH’s 5th anniversary. Made in Japan, this sneaker boasts a premium pigskin suede and nubuck uppers with the leather Tiger Stripes. It also has custom-printed insoles and the tonal Gel midsole. Ronnie Fieg x ASICS Gel Lyte III "Militia"
The Japan-made Ronnie Fieg x Asics Gel Lyte III “Militia” was launched in November 2016 in an Olive/Chocolate/Orange colorway. Like other Asics Gel Lyte sneakers, this version not only offers a fashion-trend silhouette but also a comfortable experience in every stride. The olive green upper is made of nubuck and suede upper with the leather Tiger Stripes, contrasting the chocolate midsole and orange outsole. This sneaker came in a custom package with the Kith X Stance Crew socks, an exclusive pin set, compass and three additional pairs of flat shoelaces. The Slam Jam partnered with Asics in putting one of the finest designs of the Asics Gel Lyte sneakers. 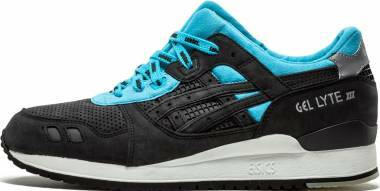 Released in May 2010, the Slam Jam x Asics Gel Lyte III “Fifth Dimension” had a colorway that was an inverted version of the original, looking familiar to longtime runner heads. It is one of the most sought Asics Gel Lyte sneakers that resulted from the first-ever collaborative effort of Asics with the Italian retailer. The limited edition sneaker was packaged with a pair of socks, a satchel and a CD with a soundtrack from Fifth Dimension. Inspired by the Black Tie look, this pair of Asics Gel Lyte sneakers was made possible with the collaborative effort of Asics with Japan’s Monkey Time. With an exclusive release, the Monkey Time x Asics Gel Lyte V “Dress Up” featured an all-black colorway that is suitable for formal attire. The upper was built with a combination of nubuck and leather materials. It also had waxed shoelaces as well as a marble-patterned heel. Released in November 2016, this sneaker was designed to be rocked for elegant occasions. The HAL x Asics Gel Lyte V “Medic,” inspired by the uniform of the Australian doctors in the war history, was another version of the Asics Gel Lyte sneakers resulted from the brilliant partnership of Asics with the Australian-based streetwear brand Highs and Lows. It was released on May 23, 2015. With inspiration from the olive drab fatigues, this sneaker had a black leather upper with olive suede side panels, contrasting the midsole that glows in the dark. 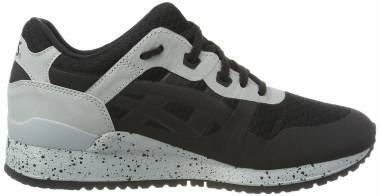 Like other Asics Gel sneakers, this shoe also featured the Tiger Stripes using the 3M material. The upper also had a splattered print detailing. This version is among the Asics Gel Lyte sneakers that a collab crosses the equator. The Australian sneaker store Highs and Lows, Japan’s Monkey Time and Asics teamed up to release a design that inspired by the traditional arts of Japan. This iteration was named after Sanokawa Ichimatsu who used a checkerboard pattern on his trousers. The silhouette of the Asics Gel Lyte V was applied with the checkerboard pattern, exuding a subtle appeal. With a mixture of black, light grey and white, the upper featured premium nubuck and suede materials. It also has a mesh tongue and clear rubber outsoles with checkerboard detailing all throughout. Released on May 2, 2015, the Afew x Asics Gel Lyte III “Koi” featured a lot of details that told a particular story, representing the history of Japan Day. This limited release came with a special wooden Bento box containing additional red and white extra laces, resembling soy sauce and wasabi. The box also included a booklet, dust bag, and chopsticks. Part of the silhouette's 25th-anniversary celebration, this shoe edition was among the Asics Gel Lyte sneakers that are remastered from the original which was released back in 2012. It had a plush suede upper accented by gold eyelets and red linings, white midsole and multicolored outsole. The black Tiger Stripes emblem was contrasting the upper. Asics teamed up with UK-based sneaker and fashion boutique END to launch another iteration using the Gel Lyte III’s silhouette. Released on March 8, 2018, the End. x Asics Gel Lyte III “Wasabi” is crafted as a tribute to the Japanese cuisine. This fashion-food collaboration has a fresh take on the iconic silhouette. It comes with three sets of laces, wasabi bowl, and chopsticks in a Bento box packaging. Same with other Asics Gel Lyte sneakers, it has the padded split-tongue signature and cushioned footbed to ensure comfort all day. The upper is made of pigskin nubuck upper resembling the green color of wasabi while the stripes are in a gunmetal grey depicting the herb origin in the rocky regions. The END. branding is on the heel counter while the Japanese character patch is found on the tongue. A tribute to the Snow White movie’s 80th anniversary, Disney partnered with Asics to create one of the meticulously designed Asics Gel Lyte sneakers which were released in December 2017. This collaboration released nine colorways and designs that are inspired by the main characters from the iconic film. The Snow White colorway has a premium upper, accenting velvet overlays, red bow, and apple print sockliner. Similarly, the Evil Queen colorway incorporates the wicked queen’s details, displaying a mischievous street style. It utilizes premium materials and color palettes including the crown-designed tongue and purple pop as well as the gold-glittering outsoles about the Evil Queen’s clothes. The other seven editions and colorways are inspired by the seven dwarfs’ bedframes and outfit color palettes, bringing to life their own unique way. These Asics Gel Lyte sneakers have black laces that provide a secure lockdown and adjustable fit. It also has a fleece lining and dwarf-printed insoles. For extra visibility, it has reflective forefoot panels. 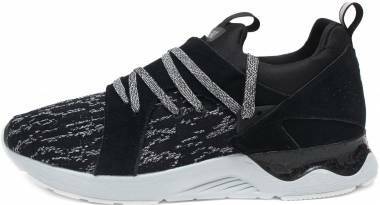 This lightweight sneaker also has Nyla-sheen synthetic fabric and DuraSkin reinforcement. Like other Asics Gel Lyte sneakers, it has a solitary Gel unit and tri-density midsole. Its rubber outsole with a gum heel plug offers reliable traction. 1949 - With a capital of ¥300,000, Kihachiro Onitsuka founded the Onitsuka Co., Ltd. and hired four employees. The brand was early known as Onitsuka Tiger. 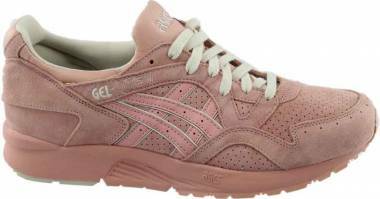 1977 – Onitsuka Tiger, GTO (sportswear and net manufacturer) and Jelenk (a knitwear manufacturer united and thus Asics was born. 1986 – Initially introduced and utilized in the Freaks silhouette, the Gel technology was built for impact injury reduction. It was embedded into the EVA midsole to dissipate vibration and absorb shock. 1987 – The original Asics Gel Lyte was launched which set the standard for a series that remains the forefront offering of the brand. The shoe weighed less than a pound and built to liberate the athlete’s run. 1989 – With a silhouette similar to its predecessor, the Asics Gel Lyte II was launched which had an internal molded PVC heel counter. It had a vibrant color at the collar that gave its visual edge. 1990 – Created by Shigeyuki Mitsui, the Asics Gel Lyte III was introduced and attracted sneaker fans because of its streetwear style. It was among the Asics Gel Lyte sneakers that were taken on by fashion-fans and athletes alike. This shoe’s key selling point was its innovative split tongue as well as the reflective heel panel. 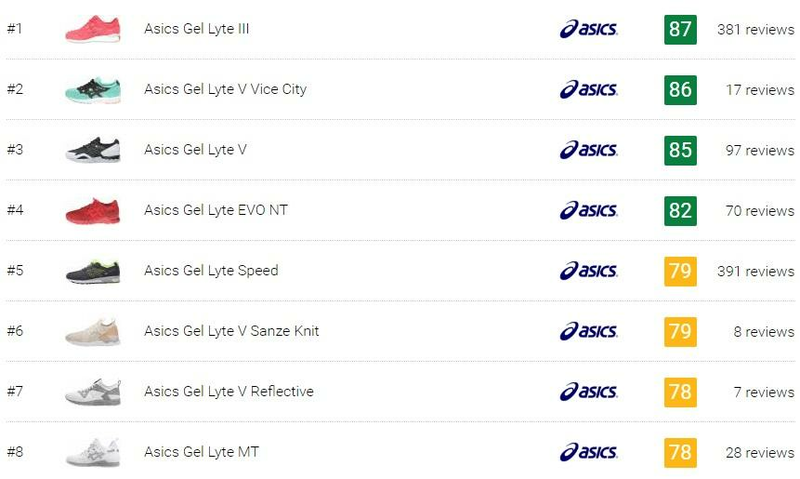 1992 – The number four is considered not lucky in Japan, so they launched and named the next series as the Asics Gel Lyte Ultra. Its upper was built with a new panel that gave its silhouette a more dramatic design. Like other previous Asics Gel Lyte sneakers, it offered great cushioning and shock absorption. It also got relatively new and flexible outsoles. 1993 – With subtler updates, the Asics Gel Lyte V was released in the market which had a similar design with the Ultra version. The updated silhouette had new mesh inserts on the toe box area as well as the side panels for increased breathability, making it a favorite long-distance sneaker. Is Onitsuka Tiger same as Asics? Where are Asics Gel Lyte sneakers made? Most of them are made in Japan. Where can I buy a pair of Asics Gel Lyte shoes? 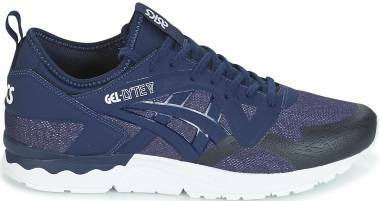 How much do Asics Gel Lyte casual sneakers cost? Depending on the colorways and designs, Asics Gel Lyte sneakers cost ranges from $50 to over $200. Do Asics Gel Lyte shoes hold up? Yes, Asics Gel Lyte sneakers are made from premium materials to ensure durability. How do you properly care for Asics Gel Lyte sneakers? Asics Gel Lyte sneakers should be clean with a soft cloth or brush and shoe cleaner using cold water and mild detergent. Avoid storing Asics Gel Lyte sneakers under extreme or in an extremely hot environment. Do not use a dryer or washing machine. Are Asics Gel Lyte lifestyle shoes vegan-friendly? Not all, but there are iterations of Asics Gel Lyte sneakers that are vegans such as Asics Gel Lyte V Vegan Pack and Asics Gel Lyte III Vegan.